In January, I started a new way of life. Nothing dramatic, but it was time for a change. I decided that I was tired of the way I looked and felt. I decided to become more active and to eat better. I signed up for MyFitnessPal; I started a “Biggest Loser” type of competition at my local Y; and went on about my day. As I sit here at the beginning of month 8, I decided to look back at what I have done. Achievement 1 – Weight Loss – to date, I have lost about 30 pounds. I’m not done yet, and it’s not coming off as fast as I would like, but that’s ok. Am I eating better? Mostly. Can I do better? Sure, but who wants to give up chocolate? 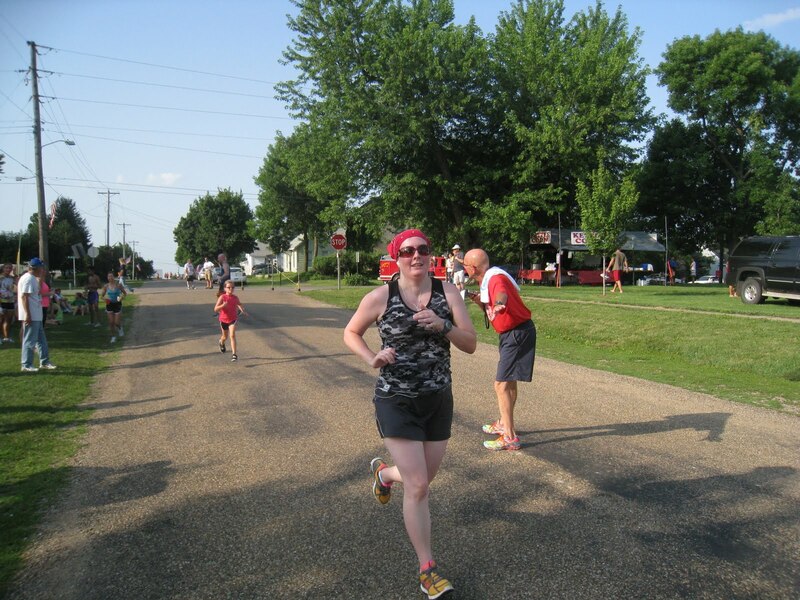 Achievement 2 – Running – to date, I have raced in 2 virtual 5k races and 3 other 5k races. I am not the fastest runner, but I am working on it. I will say this though, as much as I like the 5k races with other people, I really like the virtual races. I don’t feel as much pressure that I am going to be the last one to cross the finish line. I have at least 3 5k races, a 4-mile virtual race, a 10k, and a half-marathon planned for the next 3 months. Achievement 3 – Weight Lifting – if you had asked me in January to lift weights, I would have headed straight to the machines and gone to work, but not challenged myself. In April, I decided that I needed more of a challenge. I poked around on some forums and other websites and found New Rules of Lifting for Women. I started the program in May and am in the 2nd phase. I have (mostly) enjoyed what I have learned while doing it. In addition, I feel stronger and a bit braver…especially those days in which I am the only female in the free weight area. Achievement 4 – Clothing – I have dropped 3-4 sizes since January, depending on the brand, style, and type of clothing. This has to be one of my biggest complaints – garment manufacturers cannot seem to standardize their sizes. On top of that, the classic size 8 is not the current size 8 (in my opinion anyway). Goal 1 – Weight Loss – lose another 10 pounds by the half-marathon, lose remaining weight by the end of the year (but NO LATER THAN March 1). Goal 2 – Activity – stick with workouts. I have found that it helps me to plan them out for each month. Then I know what to expect and I can plan the rest of my day with certain expectations. I also need to find something to train for. Goal 3 – Weight Lifting – finish New Rules of Lifting for Women by the end of the year. I should be able to accomplish that, unless my half-marathon training interferes too much. After that program, I need to decide what I am going to do. I may go back and start over, or I may decide to try something different. Who knows? thank you from the bottom of my heart. I would have given up way before this without you. The end of the Grandview Freedom Run Race (7/4/2012). Without a doubt, this has been a hard journey (kind of like the race pictured above). It’s not going to get easier. I’m lucky that I have a supportive husband and two little girls who think it’s a lot of fun to “exercise” with Mommy on those days I decide a DVD is going to be the extent of my workout. I’m lucky to have supportive friends. I’m thankful for those people in cyber-land who run contests, who blog about their efforts, who are always willing to give information to newbies, and serve as inspiration. As I refocus myself on the rest of the year and the activities I have coming up, I would like to say thank you. Let’s keep supporting each other.